I have a really strong testimony of physical bodies. If you ask a group of church members what are the reasons we came to earth someone will undoubtedly say “to get a body.” Well, obviously you’ve already accomplished that, so do you get to check that off the list? Personally, I don’t think so. I have come to the conclusion that not only did we come to earth to get a body, but to learn how to use our mortal bodies, in connection with our eternal spirits, for righteous purposes. If you think about it you’ll recognize just how important our physical bodies are. Every single covenant we make on this earth requires a body. In fact, they are so important that if you do not make those covenants while you are alive on earth you have to have a proxy, with a physical body, do them for you. That is a huge sign to me that a physical body is important! Alma 5:15 says that we will be judged according to the deeds that we do in our mortal bodies. I think that means not only what we do while we are on earth, but what we do to our mortal bodies. 2 Nephi 9:8-9 tells us that if we do not have a physical body we become subject to the devil, shut out of the presence of God. This is one of my absolute favorite topics to read, study and talk about (as all my Young Women know!). I love reading about the connections between our mortal bodies and our eternal spirits. Satan works so hard to get us to separate them. He tries to convince us that what we do to our minds doesn’t affect our bodies and what we do to our bodies has no effect on our minds. He tries to get us to ignore our bodies by leading virtual lives. He tries to get us to misuse and abuse our bodies. So many of Satan’s attacks are aimed at trying to disconnect our bodies and our spirits from working together! Do you know why? Because when we use our physical body and our eternal spirit together we beat him every time! It’s like when the Lamanites would show up to battle in just a loin cloth and the Nephites would come in full body armor with the power of the Lord. Satan works so hard to separate the physical and spiritual because if we are using both he loses every time. And we know he’s a super sore loser! Whatever Satan tries to attack, I want to strengthen. As I was pondering this connection between our physical bodies and eternal spirits I was thinking about the atonement of Jesus Christ. The more I learn about the great Atonement, and I fully recognize how small my understanding is, the more I recognize just how all encompassing it was. Christ suffered body and soul to redeem us (D&C 19:18). It is the ultimate example of using a physical body to accomplish spiritual purposes. His atonement not only makes it so that we can go from bad go good, but from good to better, and eventually from better to perfect. It’s absolutely incredible. 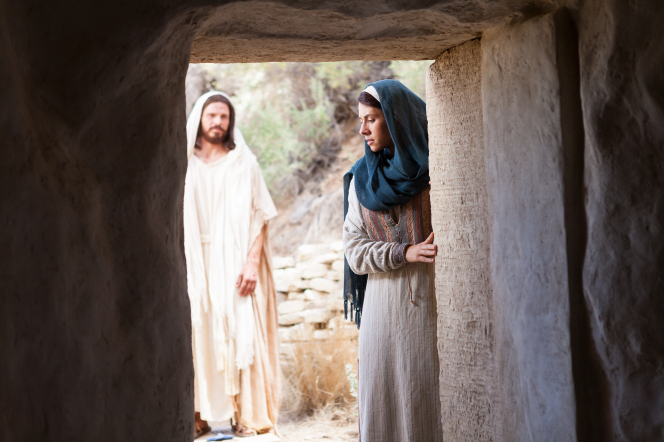 However, the atonement alone, wonderful as it is, does not make it possible to return to live with our Heavenly Father. It was not until Christ broke the bands of death (Mosiah 15:23) and was resurrected that we are able to be complete. In Greek, the original language of the New Testament, one of the derivatives of the word perfect is the word complete. Just before our Savior was crucified he told us that on the third day he would be perfected (Luke 13:32). If you substitute the word perfect for complete it helps us to understand that even though Christ was sinless, he was not yet complete. He was not complete even as his Father in Heaven was complete. (Matthew 5:48) He was not yet complete until his mortal body became immortal. Christ redeemed us spiritually through the atonement, and he redeemed us physically through the resurrection. Only because he did both can we return to live with our Heavenly Father and become like him. The more I learn about the depth of what Christ has done for me, the more I want to serve him every moment of my life. I have nothing to repay him with that he did not first give me, except for my agency and obedience. I want to make sure his pain and suffering and effort on my behalf are not wasted. I will serve him to the best of my ability forever.